Mr. Urriola joined Manzanillo International Terminal in 1995 as assistant vice president of Marketing. In 1978, he graduated with a degree in Industrial and Systems Engineering from the Instituto Tecnologico y de Estudios Superiores de Monterrey, Nuevo Leon, México. From 1979 to 1993, he held various positions in the National Port Authority of Panama, including operations director, executive planning director and special projects director. From 1993 to 1995, he worked as a private consultant in port projects and was involved in the MIT project from the early stages. He was promoted to vice president of marketing in 1996 overseeing all customer relationships for MIT’s daily operations. In September 2003, he was promoted to general manager of MIT Panama. 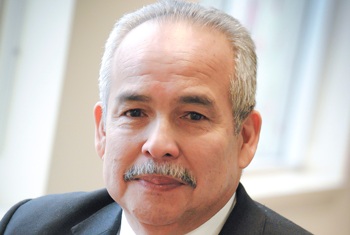 Mr. Urriola also is senior vice president for Marketing and Project Development for SSA Marine. He was president of the Maritime Chamber of Panama for 2002 and 2003 and president of the American Chamber of Commerce of Panama and of Junior Achievement in 2006-2007. From 2006-2009 he was vice president of the Caribbean Shipping Association (CSA). Since September 2009 he has served as president of the CSA. In 2011, Carlos was promoted to senior vice president for Carrix, reflecting his responsibility for overseeing marketing and customer contracts for international operations. In February 2017, Carlos was promoted to president of SSA International with responsibility for all container operations outside the US.